The crew at JConcepts has introduced a new stadium truck body for the Traxxas Rustler VXL that sports a retro flair. Based on the 1993 Ford F-150, this new clear body option allows you to get creative with your R/C racer and give it a semi-realistic look. Like other JConcepts bodies, this lid is made from durable polycarbonate, allowing it to withstand basic on-track bumps and impacts. 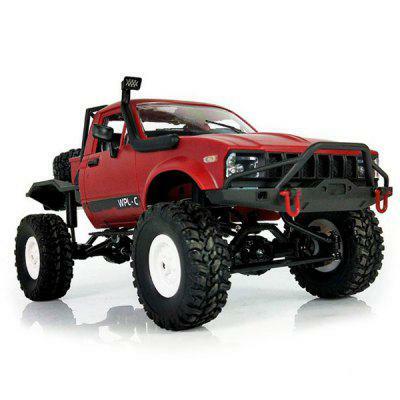 This body is designed to fit the Traxxas Rustler VXL and Rustler XL-5. Along with the replica F-150 body, the set includes a rear spoiler, pre-applied overspray film, window masks, and a decal sheet. Priced at $27.20, the JConcepts 1993 Ford F-150 Traxxas VXL body is available online and through your local JConcepts dealer. Visit jconcepts.net to learn more about this new body option.